Acceptable. Bottom of pages have some staining. Paperback The item is fairly worn but still readable. Signs of wear include aesthetic issues such as scratches, worn covers, damaged binding. The item may have identifying markings on it or show other signs of previous use. May have page creases, creased spine, bent cover or markings inside. Packed with care, shipped promptly. Good. 0374533555 Meets the good condition guidelines. Has some crinkling and staining. Has wear. Five star seller-Buy with confidence! Very Good. 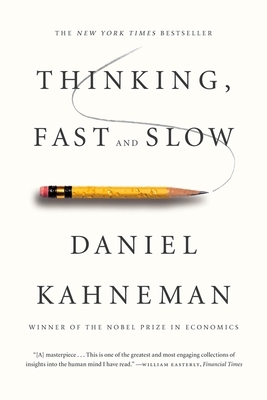 Thinking, Fast and Slow (International Edition) by Kahneman, Daniel, 2013-04-02. Trade paperback (US). Glued binding. 499 p. Contains: Illustrations, black & white. Good. Thinking, Fast and Slow (International Edition) by Kahneman, Daniel, 2013-04-02. Trade paperback (US). Glued binding. 499 p. Contains: Illustrations, black & white. Fair. 0374533555 **PLEASE NOTE** This book is in Acceptable Condition. Has wear & tear, writing & highlighting. Regardless of title, CD/DVD/Access Codes or Supplemental Materials are not guaranteed. This is a U.S. Student Edition Book.